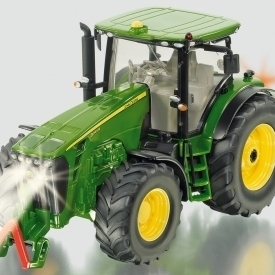 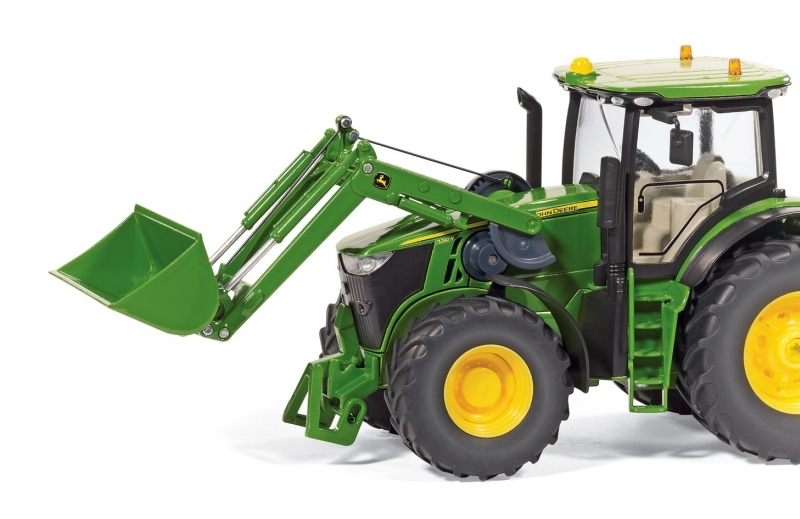 Radio controlled front loader tractor in scale 1:32, based on the John Deere 7280 model. 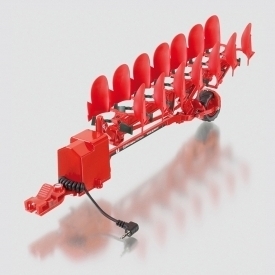 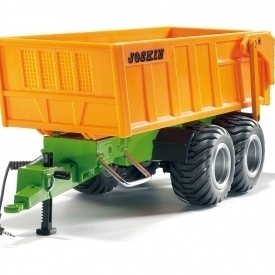 This radio controlled front loader is made of die-cast metal in scale 1:32. It features proportional steering and speed. 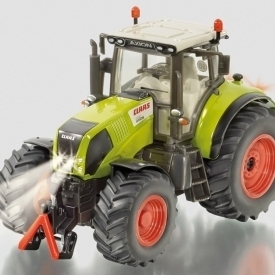 The driving and work lights are white LEDs and rear lights red. 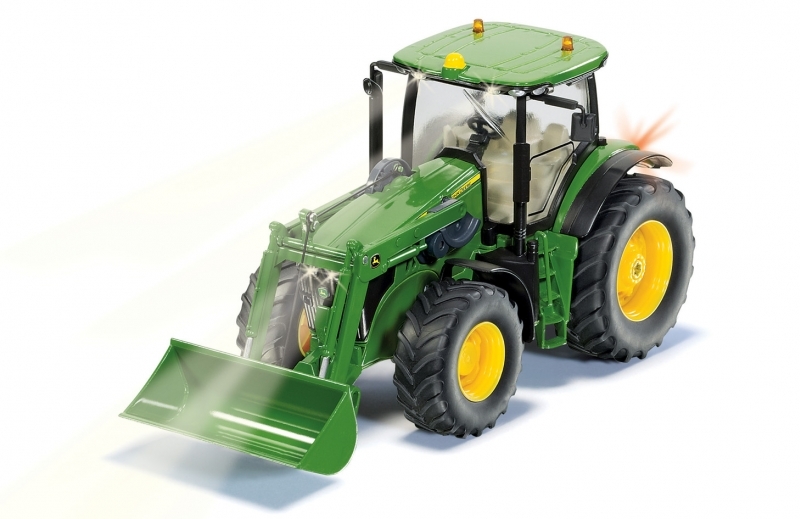 It also has indicator functionality. 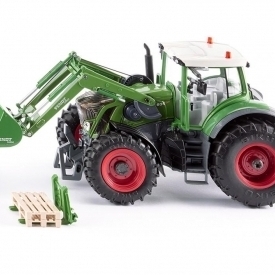 Batteries are not included with this model – 3 x AAA batteries are required for the tractor and 4 x AA batteries for the handset.